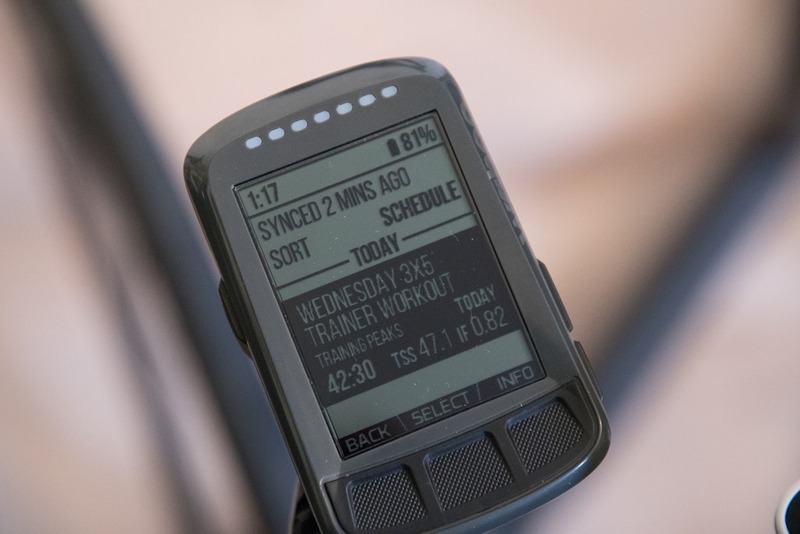 Today Wahoo checked off another box on the ELEMNT & ELEMNT BOLT series, by adding in support for executing structured pre-programmed workouts on both cycling computers. In addition, they also added in support for controlling 3rd party trainers via ANT+ FE-C – meaning they can finally control non-Wahoo trainers. Both items were seen as somewhat of the ‘final frontier’ of Wahoo being more competitive with Gamin’s Edge cycling computers, in particular the structured workout piece. I’ve been toying with both for a bit, and here’s a run-through on how they work. This addition continues what has been a pretty exciting summer for not just the Wahoo ELEMNT lineup, but consumers as Garmin and Wahoo battle almost weekly in the game of the best all-around bike computer. 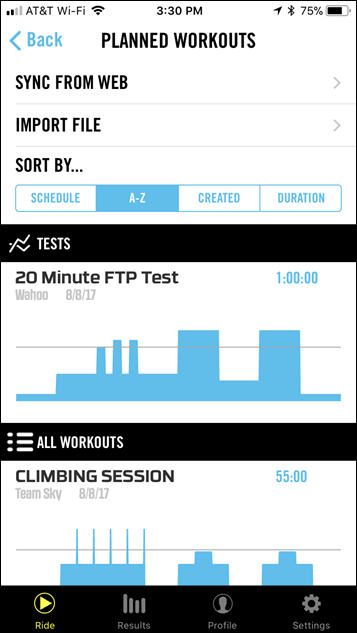 First up we’ve got Wahoo’s addition of structured workout support, which enables you to download, import, or ride structured workouts. Note that everything I talk about here applies to both the ELEMNT and ELEMNT BOLT. 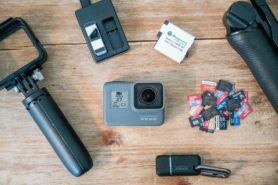 None of it applies to the ELEMNT MINI. As noted, in the case of Today’s Plan, you need a paid Today’s Plan account. Whereas in the case of Training Peaks you can be any type of account holder (free or premium). In addition, you’ll find five default starter workouts that Wahoo has loaded. 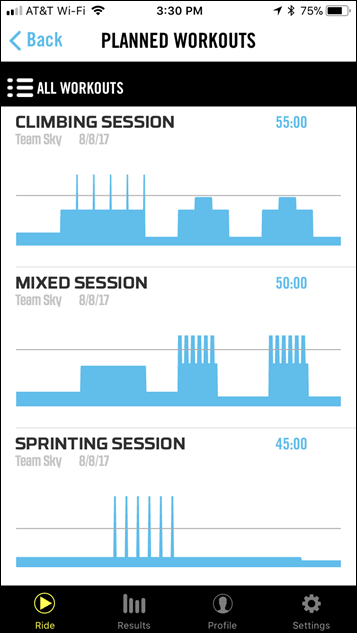 The first two are FTP tests (8 minute and 20 minute), and the next three are from Team Sky (of which Wahoo is the official trainer partner). These include a sprinting, climbing, and mixed session workout. 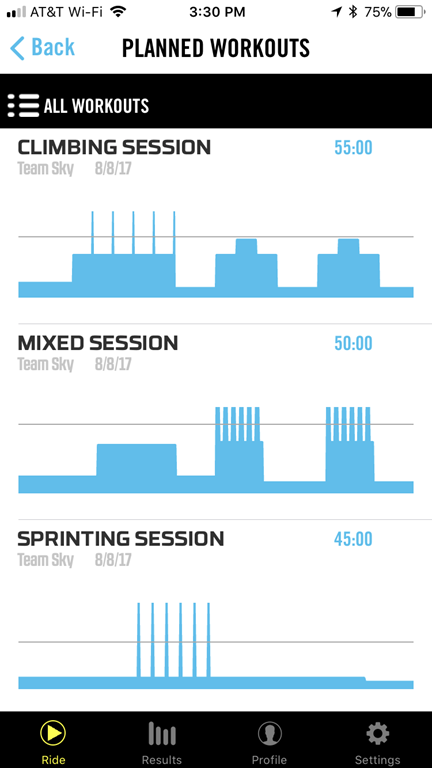 You can also just select it from within the settings menu, and list the sync’d workouts to the unit (including the ones from Team Sky). Before I press start to begin, you’ll see the target listed, but my actual stats are still N/A since I haven’t begun yet. Also note how it shows 1/14 intervals since it hasn’t begun yet. Later in photos you’ll see the number increased. And then off to the side you also see my actual wattage. With the KICKR controlling things, this was within a watt or two most times. But of course if you’re out on the road (outside), or not using an electronic trainer, then you’re aiming to hit that target. Again – to reiterate this point: You can use the workout functionality outdoors or indoors, no need for a fancy trainer. In addition, you can also fast forward and rewind through the workout; useful if you need to add extra intervals, or if outdoors and something goes askew and you need to restart an interval. An example being that somehow road-life got in the way and 15 seconds into a 5 minute interval you hit a stop-light. This would allow you to reset the interval and start again. Brilliant – something I’ve not seen on any other head unit. It’s the two little << >> buttons. The unit will show you descriptive notes from the workout program as you count-down the last 5 seconds till the next interval. What’s cool is that this count-down banner (shown below) will appear on any/all screens, so you don’t have to be on just the workout screen. It’ll also chirp as well. You’ll also notice up top that the LED’s are illuminated, showing that I’m right on-target. If I’m low or high, it’ll reflect that in the LED panel. Once everything is done the timer will continue until you stop the unit. This is useful if you’re doing the workout outdoors at perhaps a protected/secluded area, and then upon completion you want to capture the rest of the ride back home (for me that might be a 20-minute ride from the place I do protected loops). The whole workout piece worked really well. In my case I used a workout in TrainingPeaks, but the concept is similar for other platforms. Keep in mind the unit will carry-forward any target limitations of the platform the workout originated from. Meaning that in the case of TrainingPeaks (for example), you can’t set a cadence target, thus, you won’t see a cadence target on the BOLT. However, on Today’s Plan you can set a cadence target– and thus would see that on the BOLT. Next up we’ve got ANT+ FE-C control. FE-C has been out for about two years now and is commonplace on every trainer in the market (except one). 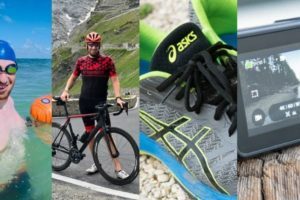 It allows app software developers (like Zwift and TrainerRoad, but more importantly the dozens of smaller ones) to easily support new trainers without having to do anything special. More recently there’s also a new Bluetooth Smart variant of this standard called FTMS (only Elite, TrainerRoad, and Kinomap support it today). Up until now, Wahoo’s ELEMNT units only could control Wahoo’s own trainers, and did so using Wahoo’s private control method. However, if you wanted to control another company’s trainer using your Wahoo ELEMNT/BOLT, you were out of luck. Whereas Garmin allows you to control any trainer that supported FE-C, and oddly enough, that does include Wahoo’s own trainers, which support FE-C (Wahoo’s trainers have for a year or so, whereas it’s the Wahoo head units that didn’t). In any event, with that backstory out of the way, they now support FE-C trainers. 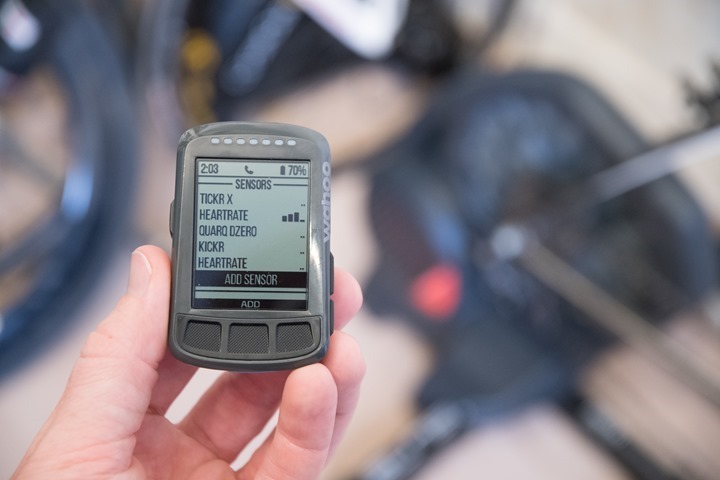 So simply put: The Wahoo ELEMNT series can control a non-Wahoo trainer. Sure enough, it finds it without issue as an ANT+ FE-C trainer. What about spin-down or calibration? Well, it supports it – but I couldn’t get it to successfully trigger. This doesn’t surprise me though, as I’ve had problems with other head units and getting it to trigger a calibration successfully on the Elite Direto via FE-C (other protocols are fine). I’ve long found that FE-C calibrations across the board are finicky. From there I grabbed one of the workouts from above to start off a short test ride to see how it’d respond. No issues. It changed the intensity as I went through the workout (I just tested different sections), and all was well. I suspect that Wahoo will probably have a slight learning curve with 3rd party trainers over the coming weeks, as each trainer does FE-C a slight bit different (they noted they’ve already had to fix a few of them to work with the FE-C control. It’s great to see Wahoo check off these two items, especially the workout control piece. And in the case of workout control, I’d argue the ability to go forwards/backwards through an interval, as well as to be able to sync workouts from Today’s Plan and TrainingPeaks natively (with what is clearly a placeholder for other services) makes it once again a better implementation than what Garmin has done in these respects. 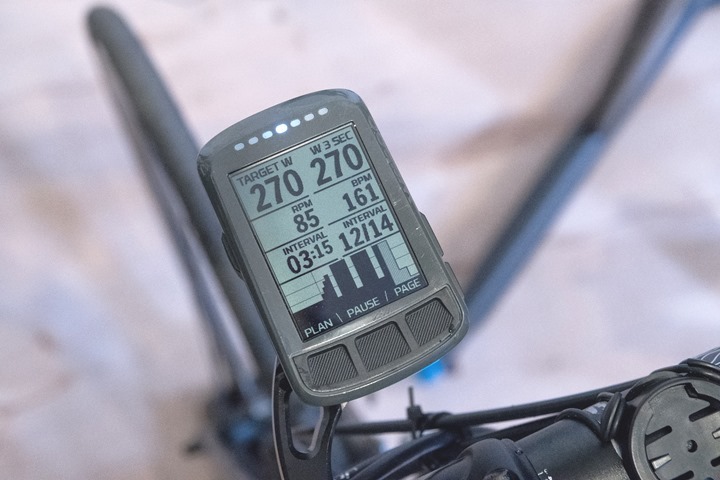 Which isn’t to say Garmin doesn’t do other things better (they do), but the pattern we’re seeing here is that with Wahoo adding these new features (I.e. Strava Live Segments, Live Tracking, and now workout support), they’re generally doing so in a more clever way – nuanced details that simply make that feature better. I’m still hanging on to my Edge 520 but the case to jump ship to Wahoo grows week by week. I was on the fence re my next bike computer for quite a while. I have never owned a Garmin but all of my riding friends use them so I am quite familiar with them. The 520 was the default/natural choice but after spending considerable time researching I decided that BOLT was the way to go for me. I bought it a few days ago and couldn’t be happier. Great piece of kit. Highly recommend it.. And the accompanying app is great too. What also helped me make the decision was that I sent a question to Wahoo customer support regarding using the BOLT with Trek’s blendr stem system and I got a prompt and useful answer. I’m not sure why anyone would change from a 520 to an Element or vice versa; surely the choice is for new buyers? My wife dumped her Edge 520 like it was hot the moment the ELEMNT BOLT came out; she got sick of the significantly shorter battery life on the Edge 520, and in our densely crowded riding region, having to redo the base maps on the Edge 520’s puny memory for just about every other damn ride was WAY too much work. The ELEMNT’s built-in base maps plus, functionally, twice-as-long running time on one charge made the ELEMNT BOLT a no-brainer upgrade for her from her Edge 520. Not to mention the fact that she constantly had issues with her Edge 520 syncing to her phone (never a problem with her ELEMNT BOLT) and also constantly had sensor issues with her Edge 520 (again, NEVER a problem on her ELEMNT BOLT). She didn’t want an original ELEMNT like mine because it’s too big for her taste. The ELEMNT BOLT’s smaller form factor (plus easier to digest price) hit the spot upon release and she has never looked back. The first step in all of my GC workouts is “Warm up – Lap Button Press” which works great because I have several different routes to get out of town and that takes anywhere from 10-20 minutes. Once outside town I have over 60 minutes uninterrupted riding. So with Wahoo I need to estimate the warm up time, and then use fast forward or rewind buttons to adjust based on traffic? In addition to being able to skip forward or backwards across the interval steps, you can also just pause the workout while the ride still records. So if you give yourself a 15-minute warmup, but it takes you 25 minutes to get to where you’re going you can just hit the workout pause until you get closer or get to where you’re going. For workouts I also use the “Warm up – Lap Button Press” on my 735XT. It is a nice feature mainly because Garmin does not allow starting/pausing/stopping a workout in the middle of a training ride without stopping the data recording. The Wahoo approach is slightly different, and in my opinion better than Garmin. You can go for a ride with data recording enabled and start the workout at any given moment. So it makes sense to start the workout at the moment you arrived at the location where you feel it’s best. Once started, pausing/forward/rewind/stopping the workout is also possible without stopping the data recording. That’s it. That was the only thing missing to convince me. Going for the Bolt now. Thanks DCR, as usual you are being very helpful in order to help us make educated choices about fitness gear. Can’t wait for the Direto review now ! If you are thinking about getting the Bolt, now is a good time to receive two cash back offers through retailmenot.com ($20 – on $150 or more ) and ebates.com ($10 – 4% of total purchase), when you shop online at Backcountry.com. They also have free expedite shipping on orders over $50. First, I clicked the backcountry.com deal link on retailmenot.com (see below for the link). The backcountry.com website then opened up and then I activated the ebates.com shopping trip using their google extension (an extension from the Chrome Store). You will click through the ebates.com screen to activate its shopping trip and then you will place your order with backcountry.com. After receiving the cash back payments in a few weeks, I will have only paid $219. To save an additional $20 – these have not been confirmed. *If you click the backcountry.com referral link below, you might be able to apply an additional $10 to your order, thus paying only $209 after receiving the other cash back payments. *If you click the ebates.com referral link below, you might be able to get an additional $10 on your ebates shopping trip, thus paying only $199 after receiving the other cash back payments. **both additional savings might work if you do not already have account with them. *I don’t receive any referral bonuses. *I receive $5 a “friend” up to $50”, Thank you! 1. Follow the ebates.com referral link to create an account. a. Go to the google chrome store and add their extension to your Chrome Browser. 2. Follow the backcountry.com referral link to receive a $10 discount and to create an account. (I’m not 100% that it will apply to your shopping trip). 3. Create a retailmenot.com account. 4. Click the retailmentnot.com Backcountry.com deal link to activate your shopping trip through retailmenot.com. 5. Once backcountry.com is open, using the ebates google extension, click to activate their shopping trip deal. Ebates varies every week on what % discount they are offering, mine was 4% at the time I purchased the Bolt. 6. Select the Bolt and apply the $10 backcoutnry.com refer a friend discount, and then place your order. 7. Receive the Bolt in two days and enjoy! Your cashback payments will arrive in month or two. What’s your view DC on how this new feature compares with Stages Dash and Link? Worth the extra outlay for unit and subs? It’s similar yet different. Kinda like Garmin, they’re all doing some things the same, and some a bit different. Stuff like lap summary screens on Stages is better (same with Garmin), whereas the whole skip/rewind on BOLT is better. I think there’s probably something to be said about the Today’s Plan/Link (it’s the same thing in this context) integration between those and Dash and maybe being better. But honestly I’d have to sit down and go side by side with units again and figure out those minor nuances. 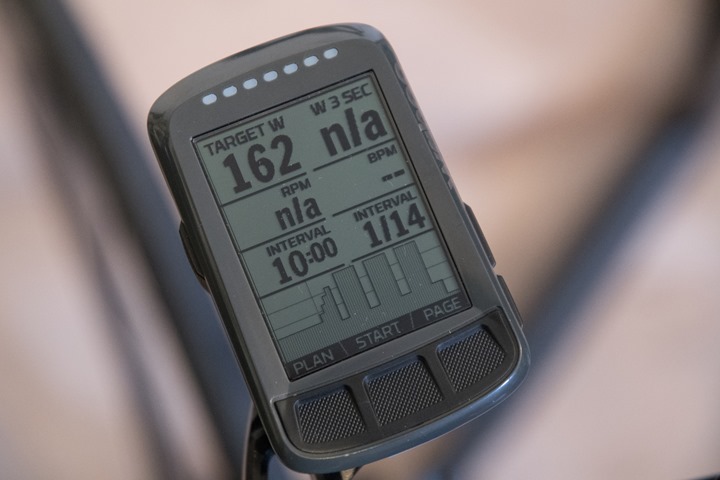 It will be interesting to see what features will be on the new Garmin 1030. Will they be able to out do Wahoo on the innovation front? Apples vs oranges because of the price. Why can’t fruit be compared? 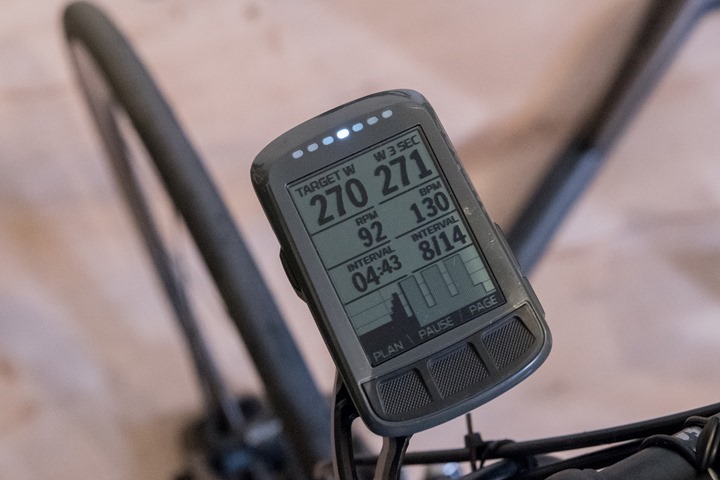 If the ELEMNT is good enough for your use, why spend 50% more for an Edge 10X0? If only the Edge 10X0 will do, why even look at the ELEMNT? It’s just the same as trying to compare an Edge 25 to an ELEMNT BOLT; if the Edge 25 does everything you want, why spend so much more money for an ELEMNT BOLT? 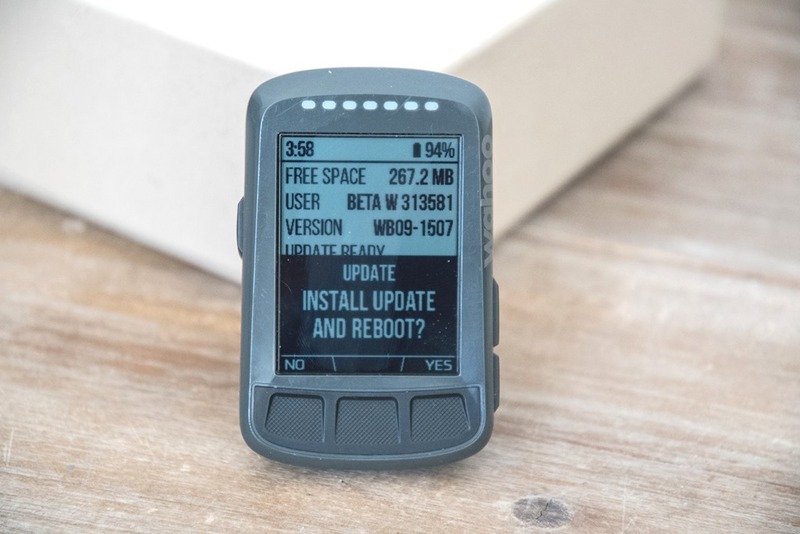 If the ELEMNT BOLT actually fills your wants and needs whereas the Edge 25 is not sufficient, why even look at the Edge 25? There’s a reason why Nissan makes the 370Z and also the GT-R; different price and different capabilities. You’re asking why can’t Garmin’s LaFerrari can’t be compared to Wahoo’s Mustang Cobra? Totally different levels catering to completely different level users. Love the back and forwards through the workouts that would be awesome if Garmin did that. Not holding my breath though given that they still haven’t added the ability to add waypoints to courses in Garmin Connect. Or released a tri-watch that doesn’t disable my Mio-Link when swimming… Garmin seem far more focused on releasing as many different variants as possible with the ability to control a Tesla I don’t own. Really? The Garmin user interface is just about the worst interface you can possible have. Not to mention the school boy errors in their software design. I couldn’t agree that they have the best engineers. It’s funny that Garmin haven’t resolved these issues earlier. I guess a few years ago no one else was really eating into their market share, but now Garmin are on the back foot. They dropped the price of the 520 in line with the Bolt and then the Bolt goes one step further and makes their features better. Garmin need to think very carefully what they do next. Yep, software has always been Garmin’s achilles heel. Their quality control for firmware updates has traditionally been abysmal. Fix a couple things, break a few more. Look at the OHR issues with their latest FW release for the Fenix5/FR935. Sadly, the 935 had been the most stable Garmin product I’ve’ ever had. The only thing keeping me in the Garmin camp is CIQ. Here’s to hoping that the 1030 exceeds our expectations. Murray, as others have said, all we need from you now is a tri watch…the ELEMNT & Kickr combo is absolutely awesome. It’s a fierce challenge but you guys are clearly up to it. As an engineer, its always a good sign to me when another engineer asks for suggestions. The best engineering cultures have a modest questioning attitude. Keep your comment section presence and be honest and Wahoo will dominate. Oh, and make a garmin 935 Wahoo clone! I second the Wahoo tri watch! Perhaps you could add target zones instead of target values? In most training plans target is set for a range not for a specific number. So ability to set interval target to a range (i.e. 265-275W), preferably with sound signals when going too low or too high, would be much of a improvement. Also Wahoo phone app sholud allow you to build a simple interval training. You could program one on garmin 500 with 4 buttons, it’s a shame you have to subscribe to a third party page to use such a basic training function as building a structured training. So that’s the ELEMENT wrapped up. When are they coming out with a running/tri watch? Thanks for reviewing. It is great to see the structured workout addition. Only disappointment for me is that I can’t choose my power source for the display because I prefer to have my Vector2 pedals instead of the Kickr, so same data inside and outside. Still seem to be a chunk different in reporting between the two even setting the Kickr to be controlled by ANT+ meter in the Wahoo Fitness app. I removed the Kickr as a power source as a result. Would I be able to use the workout features without having the Kickr power data preferentially display? This is nice looking. Any details on how to do the workouts by a file? Im not even sure how to create those..also uploading them to the elemnt once they are created. Will this be able to control the power of the tacx series, such as Bushido? Any idea if this works well? I ordered a Direto after you reviewed it and can’t wait to do these bike computer controlled workouts. It seems to be the perfect hybrid of engaged with set-it-and-forget-it training. Feel like you should up the watts? Bump it up and then just ride for a while. Want to ride easier? Drop the resistance and then… just ride. Strong, reliable products that keep having functions added to them? Thanks Wahoo for making this market harder for Garmin. 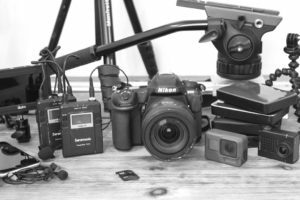 And I must say that despite myself being in the Garmin universe with my equipment, I am now ready to jump ship. No update showing on my unit – says 1507 is up to date. Hope it’ll show up soon. Just to clarify it won’t do powermatching yet (I.e control my tacx Bushido based on the output from my P1s)? Any idea if they have this on the horizon? The ability to control my trainer with the power from my 4iiii would be awesome. I have a vortex smart and it’s always 10-15% higher on the power than my 4iiii. I doubt my left right difference is so strong that instead of 260w I’m pushing 300. This is a wanted update, but the power match would be the cherry on top of my sundae. That is essentially what I was lamenting above using my Vector 2 pedals. Extra problem I have is if I keep the Kickr paired too then it shows that data instead of the Vector 2. Can you choose what power source to display in your setup or is chosen automatically (believe it is set to display the best signal by Wahoo, but could be wrong)? @marklemcd.. Interesting you say that about your 4iiii. Which generation is it? I bought one of the first generation units and always had lower readings than the kickr would read. I bought some P1’s earlier this year and during a 20 minute ftp test the 4iiii read around 20-30w lower at around 250w (L/R balance of around 48/52). It was pretty good finding out my real ftp was 20w higher than I thought lol. It’s not doing power matching. Any chance to have it (power matching; use reading from power meter to control trainer) ? You can check implantation in TrainerRoad. That’s the best, because you remove all difference from indoor and outdoor training… using always same power meter ! You can configure the power matching in the Wahoo Fitness app, then just shut it down, connect it to your BOLT/ELEMNT and everything will continue to work. I’ve also created a ticket to maybe add support directly, just not sure if/when. Any update on power matching using a Bolt? I’ve got a Cycleops Magnus and a Bolt and would love to be able to do this. Hi Brian, I have been struggling for 3 days to get my ELEMNT to control my Magnus when riding a route from Strava or RWGPS? I have tried for several days and can not. 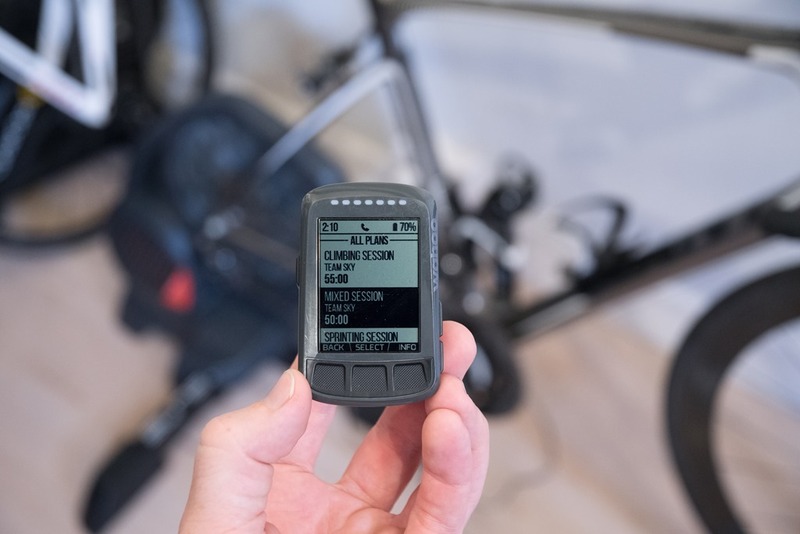 Both trainer and ELEMNT Are on current software versions. The Magnus blinks blue and white which is correct. The trainer does adjust in other modes like % resistance but bit when following a route. Any help is appreciated. Have you been able to ride a route and have resistance change? I have not tried riding a Strava or RWGPS route on my Bolt. I will try it this week and let you know if I have any issues. One of my pet peeves with Garmin workouts is the lack of other stats in workout mode. For example I’d like to keep an eye on my cadence while also sticking to my power goal. Does the Wahoo keep other stats visible in workout mode? You should be able to set a secondary target of cadence for any step in Garmin Connect then see both during the workout. I did my first structured workout with my Wahoo ELEMNT today. The only important stat missing from the main workout page is the cadence. I didn’t see speed until I used the right side buttons to show more data fields. When I have a chance, I’ll see if I can add the cadence field. I saw power goals, interval time, heart rate data and that graph that shows me where I am in my workout. If I needed to see cadence or speed, I just used the page features to find the right page. I think it’ll take a few days to get the fields the way I want them. You shouldn’t have too much of an issue. Thank you, Wahoo! This is a such an awesome feature! Will Wahoo introduce the the DI2 remote display changing function? This is great. Have been cycling with my wourkouts penned down on my wrist too long! 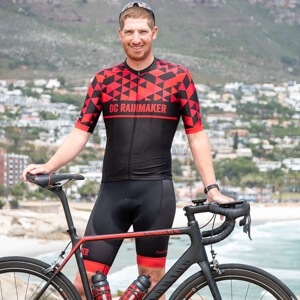 Ray have you heard anything from them about timelines for bringing in other workout programs (specifically TrainerRoad) or is it going to be up to each company to support the Bolt/Elemnt? Would love an answer to this too! I haven’t heard anything there, though certainly the way the user interface menus are designed within the ELEMNT Companion App, there seems to be plenty of space for other 3rd parties. A friend asked TrainerRoad about adding outdoor workouts and they said this was not even on their roadmap. Disappointing. Dumb question about FE-C. Why isn’t it included in the Garmin 935? 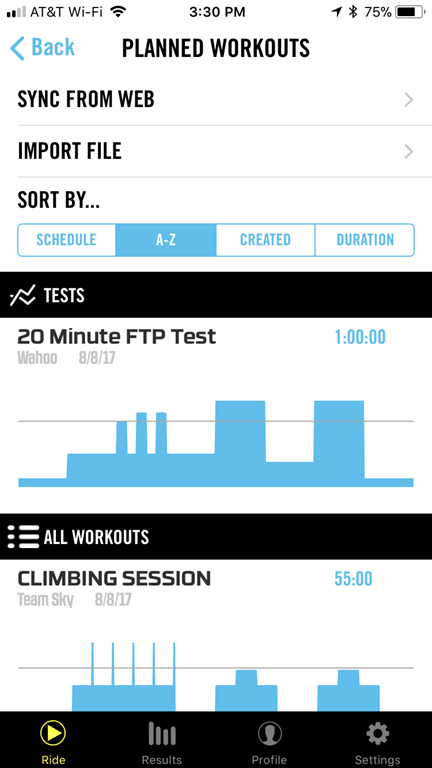 I can download the workout from TP through Connect IQ, but it won’t control the trainer. I thought I was missing something until I looked it up and see that it isn’t included/supported on the watch. Why is that? Blake the 935 isn’t a dedicated cycling piece of tech. Running is its primary use with the option of allowing the uses to record cycling data. 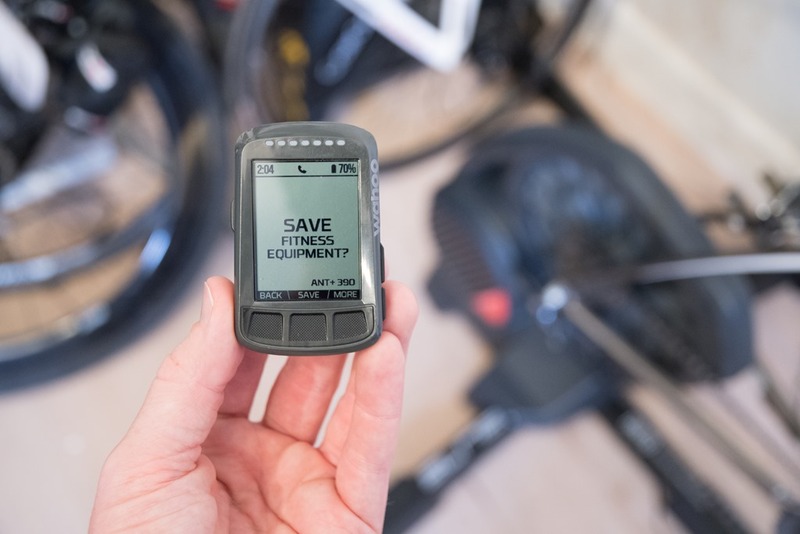 The Garmin Edge series is where you’ll have ANT FE-C. I believe the 520, 820 and 1000 will have it for sure. The 510 and 810 might have it also. I’d disagree here. Correct, it isn’t dedicated to just biking, but it is definitely intended for biking as it is aimed at the triathlon crowd. 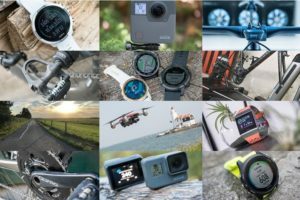 Given that it is their top end triathlon watch (even above the Fenix5 as it has the quick release kit), it really should support this. Triathletes want this functionality as much as pure cyclists. I’ve never really gotten a good answer there, but have discussed it a bunch. Ray, is it possible to set specific workouts based on RPM or speed when cycling outside ? I do not own a powermeter (yet) but would like to do some training with set goals. But with Connect IQ doesn’t that mean other apps could do a workout better then what Garmin provides and still give the Edge the edge? Sure, what you see here on Wahoo from a Training Peaks standpoint is pretty much identical. In the case of Garmin though, the user does have to take the extra step to open the app and sync it, versus Wahoo just syncs magically every time. But yeah, CIQ in general gives other companies more flexibility, especially if they don’t have the clout of Training Peaks or Today’s Plan. With Pacific Northwest (Olympia, WA) winter rainy season quickly approaching, I’ve been shopping direct drive trainers. Does the addition of FE-C control for non-Wahoo trainers mean I can reride summer routes on a Drivo or Direto using the Bolt? 🙂 What’s the chances of two different Blakes posting within several posts of each other? that’s at least three by my count? What, exactly? None of the advertised 820 features work very well. Even if we look at FE-C support, at present Garmin can control it across more modes than Wahoo, though that will change. These features may not be applicable to everyone, but the reality is there are still quite a few differences. We could also talk about things like bike/activity profiles, crash detection, and so on. 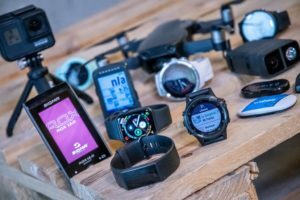 The point being it’s easy to say Garmin lacks, but the reality is the two companies are very competitive – just often in slightly different ways. I like the way how Wahoo’s implement all these features. I hope the next great device of them is a fantastic Running/Tri-watch! I was about to stay time to get a Bolt…and then I tried playing with the Training Peaks Workout Builder….yikes!!! If anyone else knows a way to build a workout in one of the other supported ways please post a link. I thought Garmin Connect was unpleasant but man that was even worse!! Yeah, while the GC one can be finicky from a software perspective (sometimes it resets things), it’s actually about the most powerful workout creator you’ll find out there, in terms of both ease of use and setting core targets. The updated GC site should make it a bit easier though if you haven’t played with it recently. I’ve never used the Garmin Workout Builder. Is it possible to export the workouts from there to be used as a manual upload once the Elemnt supports it in the future? It might actually be possible to grab the .FIT file that it throws to the Edge and then toss that to Wahoo once they add in the file import…but honestly, that all probably falls apart if you don’t have an Edge to pick it up from (or other Garmin device). There may be some hack/workaround that’s possible to fake it, but I’m not sure how to do that. I’ll probably switch to Wahoo as soon as the Varia Radar (or a similar product) is supported. If I understand correctly, only planned workouts turn up in the app and the Bolt. With a free Training Peaks account, you can plan only one day ahead, so premium members do have an advantage over free account holders. As for FE-C calibration. I successfully calibrated Vortex Smart with Bolt (full calibration took place with all the needed messages, offset number and clearly visible change in accuracy afterwards). Hey… first and foremost I love the Element/Bolt and have decided to transition from a PowerControl 7 but there is a software glitch that doesn’t properly read SRM data (specifically) that it isn’t an option (yet). I wish they would fix the problem so I can switch and take advantage of an amazing product. 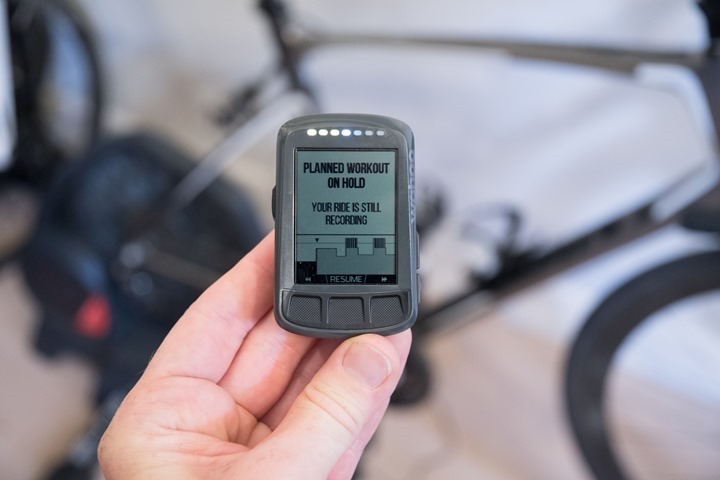 The structured workouts are a great addition to the ELEMNT but it seems that to get the best out of the KICKR you have to purchase something else whether it’s the ELEMNT or a subscription to a training platform. It would be nice if the basic wahoo app got an update that would provide some of the integrations or structured workouts for those who just have an iPhone/iPad and just want to the occasional structured workout or ride a gpx route. I just updated my Element Bolt and connected it to my Tacx Vortex Smart. Is there a way to control the Vortex in ERG mode from the Element Bolt? I can’t figure it out. Seems like such an easy feature to add. Are there any free apps that can be used to create workouts? Bolt can control Vortex in ERG mode through selected planned workout but also you can change wattage manually if you change mode in trainer control page (note: it’s different page than planned workout page, it appears only when you are actually riding on turbo trainer). Just tap ‘mode’ button and you will see explanations of any given trainer control mode on the screen. You can create and sync workouts using free Training Peaks account. always been a garmin guy, i just wish the 520 supported bluetooth sensors. I am in the market for a new one and i feel like garmin will upgrade as soon as I drop the money. I used this for my workout this evening, and I could not be happier. The experience was super easy. Sync a weeks worth of workouts over Wifi. Turn on the unit and hit start. The UI is well done, the controls are intuitive. Everything about the experience was wonderful! I do 5-7 training peaks workouts most weeks. This is going to make my life soooo much easier. Anyone want to buy a light used (and much hated) Stages Dash? How about a trade for some old inner tubes? Why do you hate your Dash ? I also have it and love it, just curious. * Some evidence that TrainerRoad and the Wahoo were fighting over the FE-C control on the rollers. The app doesn’t complain that you’re running newer firmware on the Bolt than the app actually supports. I had a some weird inaccessible pages until i upgraded the app. A) The Inside Rollers support FE-C, and FE-C simply stands for ‘Fitness Equipment Control”. You can see in my screenshot above it calls any FE-C trainer Fitness Equipment. C) That’d also make sense. You’d essentially be trying to have two masters here if I’m reading your post correctly, and two things can’t control one trainer. 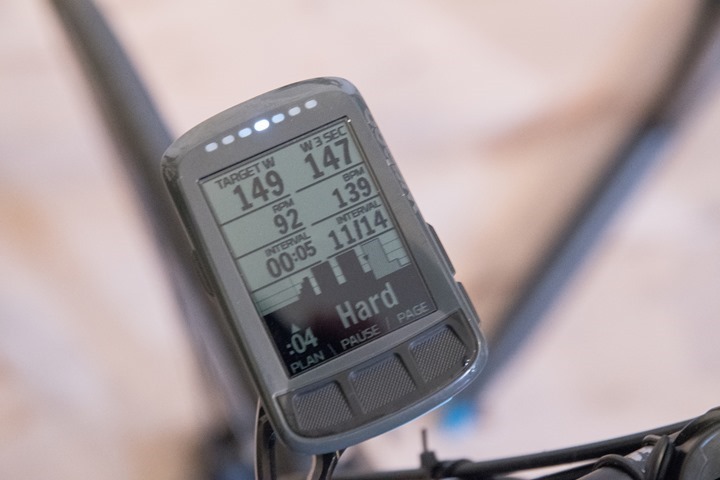 As a general rule of thumb if using two devices in a workout, only one should be paired as FE-C, and the other paired as a regular power meter. Very cool! I received an email from Wahoo where they say you can get a free trail for TrainingPeaks en Trainingplan when registering your emailadres in the companion app. I have already registered my emailadres months ago and are currenlty already syncing to my free trainingpeaks account. Does anybody has a clue how to active this trail? Ray if you can confirm the following, im pretty sure im on the Wahoo by week end. My workouts from my free trainingpeaks account do not show up in the Champion App (Android). I have created one workout and dragged it to today. I have done a resync with my trainingpeaks account in the Campion App. Still no workouts. Try to re-link Training Peaks the workouts should show up then, but with a ugly raw filename instead of the name you gave the workout in TP. Having same problem here – on iOS and have de linked and rekindled TP multiple times. Not getting any workouts and I have one built and structured for today. Great to see it! I’m a long time ELMENT user. But I’m still disappointed the way they (mis)calculate power when you upload files to Training Peaks and Today’s Plan. That’s what been preventing me from using it more often. Example: I used ELMNT and Edge 820 side by side on a recent 6 hours ride including a 20 minute “cafe” stop. Both units had same FTP settings and AUTO PAUSE was off. So while EDGE file is consistently treated by analysis software and numbers also match what I see on the head unit the ELMNT file although similar to EDGE on the head unit gets a very inconsistent treatment by the analysis software. We actually worked with TrainingPeaks on tracking this one down and it should be resolved in this update, it was a issue on how we treated power when stopped. Awesome. I thought it was just me. Purchased a ELEMNT struggling downloading GPX files try to try to download strata route it goes in my strata file I then transfer to my elemnt folder which it shows it is in the file but nothing is coming on to my wahoo elemnt. Strava routes are synced automatically with your unit. You don’t need to download any files and connect ELEMNT to computer by cable. 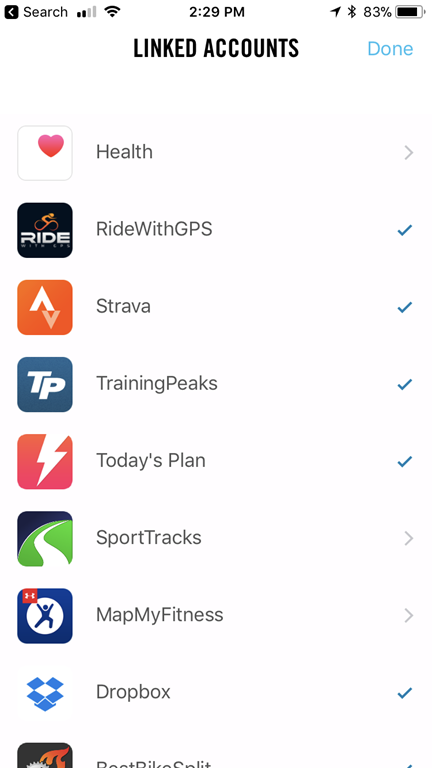 Just connect your Strava account with your ELEMNT using companion app (if you didn’t yet). Great to see structured workout but I noticed this update also remove the option to select to what service it will automatically upload, now it upload to all my connected services by default. This is bad for me cause I don’t want to upload all my ride to Strava and ridewithgps but I do upload all my ride to Trainningpeaks. This is a step backward. The option was there until I updated to the last version. I just chat with Melissa from the helpdesk and she look at an iphone that was not updated yet to comfirm the option was there, after making some investigation , she said this was a known issue. ticket id 334383. Can you confirm? JF, Sorry I’m not as connected to the bike team as I once was. Sounds like it got released accidentally (before it was finished) and then pulled. Once it is finished, it will get released again. Oh great, thanks for double checking! Only thing holding me back is Varia support! Anyone know if trainer road will be added? Correct, It doesn’t compare anything as it doesn’t have anything to compare to. Well, at least the KOM is always present. Is there any workaround? Sorry I don’t understand. If its a brand new segment with no PR, KOM or anything (don’t even know if thats possible). You can still ride the segment, you will still get a time on the ELEMNT but there is no data to compare, so you will no see any compare data. Sorry for the confusion. I’m referring to a segment which is only new to me (I have no attempt, yet), but with a Leaderboard and a KOM also present. Sounds like the KOM data just didn’t sync. If you go to the Segment page outside a workout, and manually hit sync, you should see the segment in the list and it should show the KOM. Did you notice a severe lag in screen update when changing intervals? I did 30s on 30s off intervals and most of the time the countdown would stop somewhere around 3 seconds. The screen would freeze and then take 15ish seconds to update… which is halfway into the next interval. Very frustrating. Wondering if other people had this issue? I was able to get this to work yesterday via Training Peaks but no dice today. My guess is the sync gateways are not working well. On my iOS app I had to de-authorize TP and re-authorize it, and now I see it on my phone. But on the ELEMNT itself I do not see it, even if I keep telling it to sync. I had that issue very briefly yesterday but the workout eventually showed up. Perhaps this is down to initial release demand but I am not sure. The feature worked GREAT yesterday but I really just need the sync to work reliably (I’ve now spent as much time as my planned workout is scheduled trying to get the workout to sync to the ELEMNT). Minor bug – when on my ELEMNT I move from the planned workout page to another page, and come back to it, my bottom graphic is blank. This can be fixed by zooming in or out and it comes back. Which code? Does it work with the Wahoo Elemnt Bolt? I tried adding the VIP to the cart also but it doesn’t apply the discount. If Wahoo could add a power data field that calculated real-time FTP in the same or similar way as Xert, you would have some seriously happy Elemnt/Bolt owners. Take the time to read the comments in the above article. 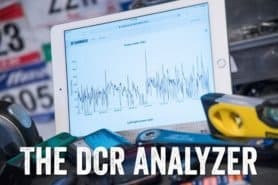 People hate FTP tests, but need to understand their current level for updating their training plans. I’ve submitted this idea via email, but would like to put it out there through you as well. dont believe the hype..the only test other than an FTP, is a one hour time trial, usually 40km… why would xert shy people away from the test? it makes zero sense to train to a number you didnt achieve… ive yet to come across a professional coach who would set your training plan to a FTP you have not achieved..
520 owner since Oct 2015, it just works. No real problems with the 520, always kept firmware updated and deleted all activities once a month. One ride this year the timestamp advanced 16 hours near the end of the ride, but Strava caught it and told me how to fix the .fit file. Added Stages power meter a year ago. Turn-by-turn has also worked well enough for me, starting Dec 2015 with club RWGPS routes. Never gotten lost. Even at 0% backlight and 50+ yr old eyes I can usually see the screen even with really dark sunglasses (10% light transmission), although a few sun angles will wash out the screen and I have to squint to see it. I like the GC workout creator better than TrainingPeaks (paid Premium account). 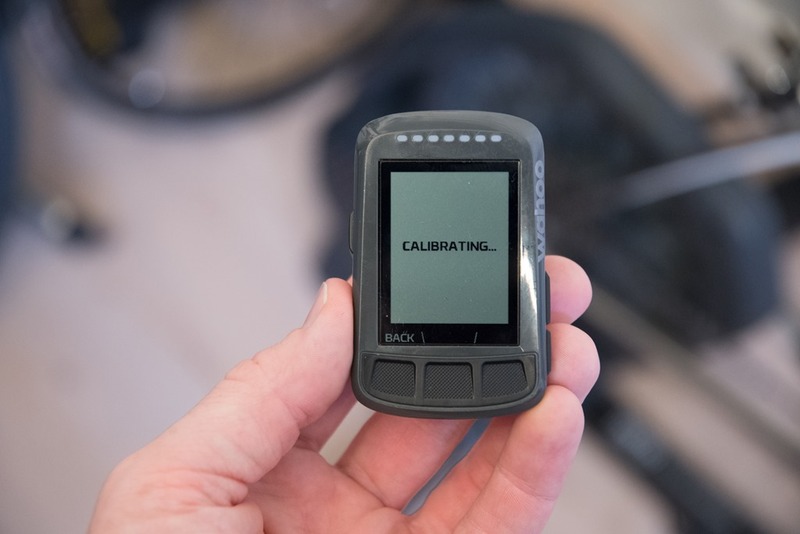 I like where Wahoo is going with Elemnt, but not ready to sell my 520. Elemnt has better buttons, sharper screen but without color, and from the screenshots I like the idea of being able to see intervals in a graph. Things on 520 I like – apps (Xert! ), Varia radar, color maps, GC workout creator, and street names on maps (OSM). (1) I had no trouble setting up Live Segments at home but on vacation in a rental unit the Elemnt would not load new Live Segments; Wifi would not work for the task. Turns out shared networks may have “customer Isolation” (terminology?) which prevents the phone and Elemnt from communicating. The Elemnt loads live segments via wifi not Bluetooth. Oddly the Elemnt loads routes via Bluetooth. (2) The Elemnt (and Bolt) do not accumulate elevation gain in a timely manner. On rolling hills the Elemnt might say 2800′ of climbing and an Edge 3800′ of climbing. It seems to miss the many peaks. The GPS data computes to the true net change (3800′) but the FIT summary says 2800′. Strava uses the summary field. (3) On every pause the unit loses track of the elevation change since the last recorded change. So the summary field is too low again. Might be worth pointing out the restrictions of the basic TrainingPeaks account which, for example, only allows scheduling of a workout for today. Half way through a workout I want to change resistance. How do I do that? I still want to maintain the specified ORIGINAL wattage I just found that my cadence was too low and I had run out of gears. I looked but could not find that option. Is there a way to put TrainerRoad workouts on there or plans to do so? I really don’t want to create the workout on TP if I can port it over from TR. “Q: Is there a way for me to upload my outdoor rides to TrainerRoad such that I can track my TSS through my Career page? Being able to export a workout and executing it on a BOLT seems like a great way to accomplish this. Although TR is great, I get a feeling they are resting on their laurels. In my many months of subscription, it feels like it has been stagnant in terms of new features (sure, new trainer support with each patch, but I am not buying a new smart trainer every few months). I really hope that generic (non-TP) workout downloads will be supported soon – the free account Training Peaks workouts are near useless as you can only create today’s workout, can’t create/select from a library or even create future dated workouts. I get the impression the feature’s already been designed but just missed this release cycle, so I hope it will be in the next. Top of my wishlist however is to auto-upload activities to Dropbox so that they are ready to load into Golden Cheetah. Did a interval ride yesterday and it works great! Apart from 3sec power I like to show average lap power to ensure it is in line with the goal power. When a new interval is started a new lap is started, but it seems this is not the case when you fast forward to the next interval. The average lap power in such a case is calculated over the part before fast forward and upcoming interval. Does anybody else observe this? I changed 3s power to 20s power, since I felt 3s was a bit too variable. You can edit the screen via your mobile phone (add / remove variables, reorder, etc.) I have not noticed the lap behaviour. Switched from the 520 to trhe Bolt. Now, looking at buying a direct drive trainer. Is it stupid to buy a Tacx Neo rather than the Kickr2? Any pro/con of each? Also any ideas on what apps to use to create them? As mentioned above, Garmin Connect would work, but you would have to already have a garmin device. And record the total time and time for each exercise, I have yet to find an app that does that (Freeletics Bodyweight probably comes the closest, but you can’t define custom routines). Any ideas? I’ve used Fitocracy for years to track weight lifting and body weight work. In Fito app you can create a superset of squats and lunges, with 3 sets for each. Save as custom workout. Fast forward to tomorrow and you can ‘play’ the workout and it will guide you step-by-step thru the routine. During the routine you can change weight or # reps on the fly – say you are feeling good and decide to do 11 squats on the first set, just swipe up on the 10 and it increases to 11 (swipe down to decrease). Click the checkmark to move on to the next exercise (10 lunges) in your routine. Powerbeam Pro…can the Bolt control that? I only ask because Zwift can control the trainer, but technically, it’s not FE-C? If it’s not FE-C then of course Bolt can’t control it. Unless it was specifically mentioned (it wasn’t). No FE-C on PowerBeam Pro. Can I upload a workout created on training peeks (or anywhere else) that will stay there despite being “past the date” i put it in the calendar? On my garmin i can create a type of workout: for example 4×4 intervals – that will always be there (like the provided SKY workouts). Is this possible on the wahoo elemnt bolt? So it’s not there yet, but soon it will be possible. I’m clearly being thick here, so bear with me. How are you supposed to set crank length for various power meters? I can’t see that anywhere in the app or on the unit. I run different crank lengths for track and want to change the length on that power meter. so can you use a planned workout, with your own PM (stages), and just use the kickr for resistance? You have this option in TR and Zwift i.e. to use your own power source and just the kickr for resistance. when I pair my hammer via the app it asks me for my wheel size? Should it do this? should it recognize it as a trainer? Thanks for another great info. I noticed the 4 sources to import the workout, but what about option C? Did wahoo plan to launch it soon, or cancel this feature for future releases? They are still coming. MRC/ERG are pretty much done and we have a developer finishing FIT, Can’t give you a date yet. Hi @Wahoo Murray. Any news on a release date for the .FIT/MRC/ERG import file update to upload a workout file from other sources? Hi @Wahoo Murray, have there been any developments on this? Cheers! Is this feature available yet? I am still looking for a way to get workouts on my Bolt without an annual subscription (e.g. Today’s Plan) or having to map the workout out that morning and sync. In other words, I would like to sync a handful of workouts and have them live there permanently like I had with my Garmin Edge 800. I am successfully loading (and removing!) my own workouts onto my Wahoo BOLT with my laptop. Specifically there is a video at the bottom of the post that shows both adding and removing workouts. If I understand the FE-C standard correctly, it both allows the Bolt to control a trainer, and also allows the Bolt to get speed, cadence, and/or power from the trainer. Correct? Assuming this is correct, does anyone else have an issue setting wheel circumference for the FE-C sensor on the Bolt or in the companion app. I recently got a Drivo. It’s the first “wheel off” trainer I’ve ever had, and I can’t seem to get the Bolt to read a reasonable speed. There’s no way to set wheel circumference under the Drivo FE-C sensor. When I connect to the speed/cadence sensor through bluetooth on the Bolt, I can set wheel circumference, but no speed is shown. I can connect to both speed/cadence sensor and power sensor from the Drivo on my old Garmin 310XT with ant+, set the wheel circumference, and get readings that seem reasonable when compared to readings from Zwift on 0% slope, but the Bolt shows my speed as way too high. Wahoo support were responsive, and we exchanged a couple emails, the last one saying set the wheel circumference in the companion app, but after I replied the option wasn’t available, they’ve gone dark. Giving the benefit of the doubt it may just be because of the weekend. I just thought I’d see if anyone is having a similar issue. I too am having problems with direto trainer and elemnt bolt. I am trying to reride routes indoors with expectation that ELEMNT will use gps file to set resistance to trainer and give a reasonable speed but it’s only registering like 80 watts and giving a speed of 170 mph. Any updates on issues with direto from wahoo? This comes to me as a big surprise that people with direct drive trainers would have the same issue as I do with my Elite Rampa. On the Rampa the wheel circumference is set at 62.83 in the Elite My e-training app. You’re right, the FAQ on the Wahoo website only specify that you can set the wheel circumference on a speed/cadence sensor, not a fitness equipment. I just downloaded and tested the latest firmware and Android app for the Bolt. I can now set wheel circumference on the Drivo connected Ant+ FEC. Check it out. Hopefully it fixes the wheel circumference problems with the Direto too. Now I need to get rid of this cold and I’ll be ready to reride some of my summer routes. Does the Planned Workout work simultaneously with Navigation? After connecting a Tacx Flow Smart and completing a virtual ride, i have all the data (speed, cadence, power, elevation) but it does not show the virtual map. 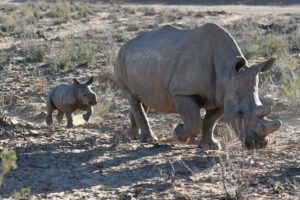 Is the virtual GPS data saved??? So, the import file function was delayed until…? Any news? Importing files is my only viable option to get my Xert workouts on the elemnt. setup my new Direto from CT yesterday and I am struggling with the speed reading, showing high values. I know that i have to change the wheel circumference to 173mm on my head unit, but that does not work. (Speed shows OK in Elite Training app with 2096 option and OK too in Zwift). I have a Wahoo Elemnt head unit, which reads extremely high speeds. I use the Wahoo Elemnt utility, go to Sensors and change the default value from 2.096m to 0.173m, but I see no difference on the speed readout in the Elemnt. I also have a Wahoo BlueSC speed/Cadence sensor that i want to use for cadence only. (BlueSC has more accurate cadense than the simulated one in Direto). I am connecting the Direto to my Elemnt via ANT+ and it shows as FE-C. Ray recommended this option on comments above. When i do that, the Elemnt recognizes the Direto as a “KICKR” trainer and it unlocks the control screens to change resistance etc. But, the freaking speed reads wrong. 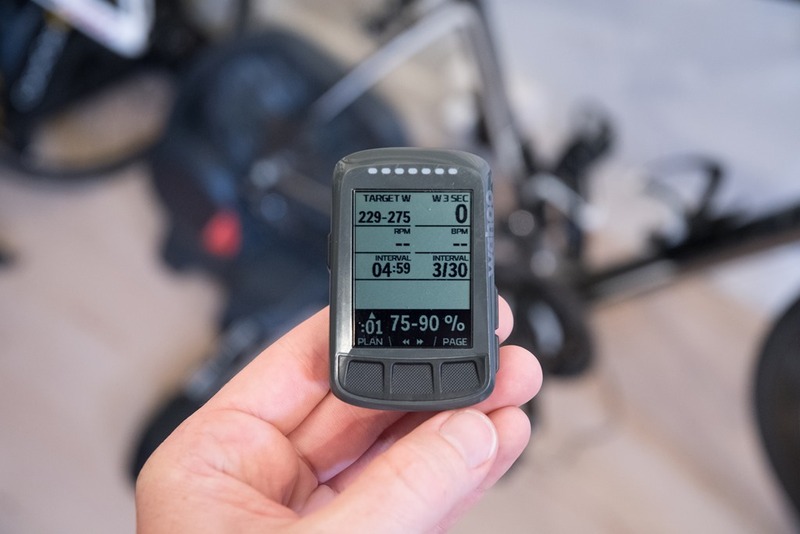 I do have another option, the BTLE one that reads as “DI” Speed/Cadence, but if I select that, then the Elemnt will not show the “KICKR” trainer screens. What am I doing wrong? Wahoo has a new firmware for the Bolt and an update to the Android app. Updating both gave me an option to set wheel circumference in the Android app when I select the Ant+FEC device. There is also an option to change the name, so I changed mine from Kickr to Drivo. Not sure how it works on the Direto, but on my Drivo I had to divide thr actual wheel circumference (1.944m for my 650c wheels) by a specific number listed in the users manual (3.46 for the Drivo). Yep, I saw it thanks! I contacted Wahoo support last week and they told me to expect a firmware and app update today. Pretty cool! Have you tested it with the Elite? Works? The updates fixed the abnormally high speed when connected to the drivo, but the route option under FEC control doesn’t seem to work. Or at least I haven’t been smart enough to figure it out yet. No matter which route I load, the resistance stays the same. Guess I’ll have to contact support again if I can’t figure it out over the next couple days. Hi, my Bolt unit, which in love, unfortunately does not control my Elite Real Turbo Muin. The display shows 3 or 4 watts and sends me into the spiral of death when I’m pedaling. As a consequence I have to dis- and reconnect the trainer. Anybody who has the same problem? Just to clarify, did you update the firmware of that trainer to the variant that supports FE-C? Hi Ray, yes I updated the firmware regularely. Wahoo answered that it’s not neccesarily so that even the trainer is ‘smart’ the Bolt is able to control the Real Turbo Muin. It’s not a big issue for me that this feature seem to be disabled in my case, because there are so many workarounds to get good workouts, it’s just about the fun to get things working. I’m having the same problem between Element and Tacx Neo. Its just the route simulation that doesn’t work. Wahoo support have confirmed there is a known issues for the Element supporting route simulation though they didn’t say whether this was specific to the Tacx Neo or not. Is it possible to select a workout done in the past? I mean..I created a workout in TP for yesterday. Is it possible to select adn do a workout already done in the past? I mean..I created a workout in TP for the past week. In the Wahoo, is it possible to select and do it today? Just got the Bolt and discovered months later, still no way to import a workout without buying another service alongside Trainerroad to create them, or do it each day. Not cool… Will email support and see if this is coming before my return window is up. Don’t want to be forced onto training peaks sub to use this. Yes. I had the same problem. Unfortunately I discovered it after my returns period was up! Support will say that you can use TrainingPeaks for free but it is not practical because of the limitations on planning workouts daily. Wahoo are allegedly working on .fit imports (see earlier posts on this discussion from someone at Wahoo) but there is no sign of it. What they really need is their own workout editor like Garmin but that is a step further and could take a long time if it ever happens in my opinion. I’m afraid it is back to Garmin for me. Also, people with Premium account can share library with you ! Finally got Wahoo Elemnt to use Stages power and cadence and control Kickr resistance in ERG mode via Training Peaks designated workout! Yeah, it’s a big deal for me! Paired Kickr and Tickr to Wahoo Fitness app, then added stages power sensor into “control w ANT+ power meter”. Colsed out app and turned off blue tooth on phone. Turned on Elemnt, spun down Kickr, claibrated stages, loaded my TP workout via sync, and began workout. With each designated interval, regardless of my cadence, ERG mode held the power! Hopefully I didn’t jinx myself! So I’m a long term Garmin user, currently have an Edge 1000, looking for something a bit smaller but with similiar functionality. I use workouts created via the Garmin Workout creator at least weekly. I don’t pay for Training Peaks. Am I still limited to using the TP workout creator to create new workouts? 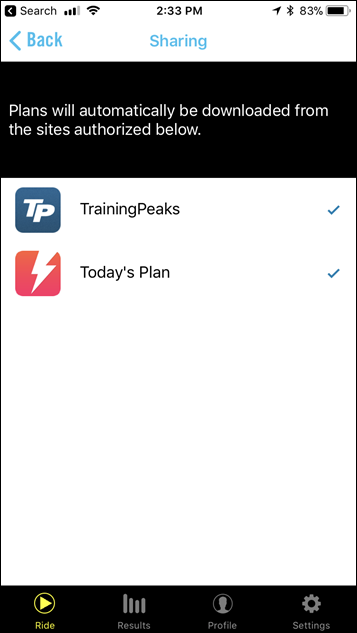 The TP workout creator is fine and does the job, except I have a library I can’t keep stuff in on my Wahoo and have to constantly have TP access to move a workout onto the calendar same day to even use it. Still, I can put up with that. The Wahoo device also wipes out your planed workout folder automatically with a 5-day window – even when it’s simply turned on – so there is no loading it up and storing stuff you’d like the way they show you with the 3 demo workouts. I can see the folder on USB connection – but no access to put a workout file in there. My guess is there is some contractual stuff going on – maybe TP paid them for this connection and they now have a semi-exclusive deal to force people to come try their website and Wahoo is just not being up front about it. DCR also mentioned early versions had this function opened up and then closed it – I’d like to hear his take on why that went away – and why we should be cutoff from it. But without that assurance, the bolt could end up being non-functional at the whim of either company and/or require a lot more monthly expense to even use it. I don’t think that is a good way to sell hardware. It’s a shame, because it’s a really great device in pretty much every other aspect. They’ve just really botched up one of the things it could do so well. I’m going to submit another support ticket and reference this thread and see if they want to explain their position publicly. Thanks for the comprehensive reply CB, I keep my workouts on my Garmin 1000. At the moment I’m doing the same workout once or twice a week, so it seems I’d have to make sure I put it in todays plan on the free TP program each day, which I guess is doable. Here’s hoping they come up with something simple and web based! I received the response below after additional follow-up with Wahoo support – indicates more of a commitment to ensure we have some form of access to planned workouts without additional subscription costs. I’m more willing to trust that Wahoo won’t leave us hanging on this, and it’s otherwise an outstanding device. Even usable with lobster claw mittens thanks to robust buttons and really like the simple interface to phone. I had a conversation with out developers about your concerns. We understand that not all of our user base wants to utilize paid subscriptions to access the structured workout feature. They assured me that the TrainingPeaks free account sync is here to stay and that we will continue to support some kind of workout sync without a paid subscription for our users no matter what. I hope this allays your concerns, please let me know if I can be of further assistance. – Wahoo never claimed that this feature will come. – Feature is likely to come some day, but rather mid-term, i.e. 6-9 months or later. 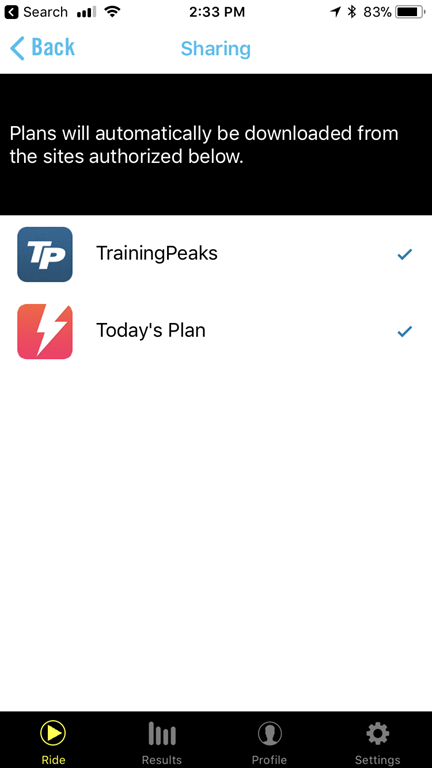 – Only way to import without subscription is TrainingPeaks free account, but this only allows one day trainings and has to be resynced every training again. This makes the device pretty useless for me. Wahoo has pointed out that DC Rainmaker is no employee or representative of the company, so they don’t have to publish any statements regarding a feature they never advertised. While this may be formally true, I feel that this is a poor excuse. They are well aware of how many people are reading the articles here and rely on them. And I’m quite sure that DC Rainmaker hasn’t made up the info about the import feature, but has received it from Wahoo. Also Wahoo Murray has posted here, that the feature shall be implemented. So, if Wahoo doesn’t plan to introduce the feature any time soon, they should let DC Rainmaker know so that he could amend the article. I am successfully loading (and removing!) my own workouts onto my Wahoo BOLT with my laptop. No need for a service. I have a few dozen workouts loaded onto it. Anyone get their ELEMNT to control their Magnus when riding a route from Strava or RWGPS? I have tried for several days and can not. Both trainer and ELEMNT Are on current software versions. The Magnus blinks blue and white which is correct. The trainer does adjust in other modes like % resistance but bit when following a route. Any help is appreciated. Does anyone know if it is possible to connect the kickr snap to the element via ANT+ FE-C and a watch (polar V800) over Bluetooth. I tried today, the connection to the element seemed to default to Bluetooth, so I first connect to my watch then searched on the element. It claimed it found it via ANT+ but when riding no values were displayed on the element. What I want to achieve is to control the workout with the element (change wattage etc) but also record the data simultaneously on the watch (BT) and element (ANT+). Thanks in advance for any help. I received my Elite Direto. Setup as per instructions, (advanced calibration, wheel size of 173mm “0.173” for my ELEMNT). Problem I’m having is a significant drop in speed on the ELEMNT when pedalling over 30km/h, as low as 4km/h in a flat out sprint, (I’m slow, but not that slow). Anyone encountered this problem when using Direto paired with Wahoo head units? Any suggestions on a fix? I have also lodged a support ticket with Wahoo, seems to be a common problem. Does anyone know if I can set my Elemnt + Kickr to power match so that the power data would come from my power meter but control my kickr? I know I can do this within Zwift or TrainerRoad, but I want to know if i can do this simply from the Element Bolt. Thanks. I have succesfully done this last winter, occasionally I will get some issues. I have to turn off my phone bluetooth and calibrate my stages pm off my elemnt screen while connected to my Kickr. 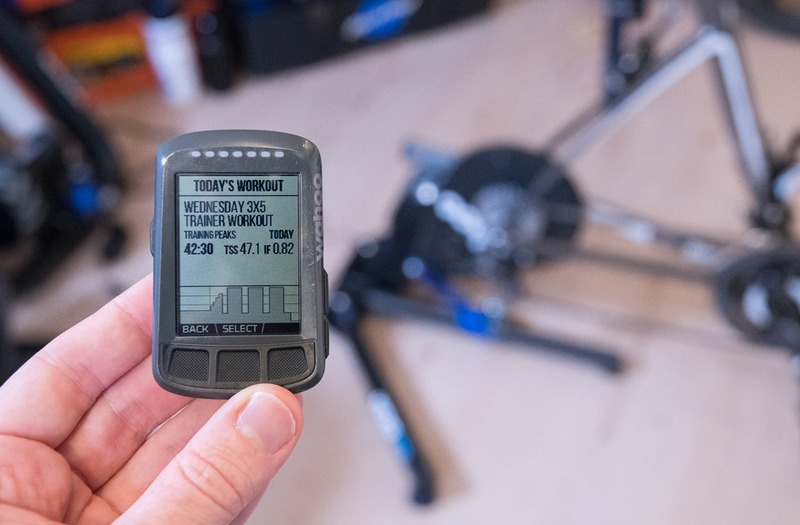 This way, when I load a workout from training peaks in erg mode, the kickr keeps the wattage from my stages. Going off memory as I haven’t been on the trainer in months. Ray do you have any more info on why this seems to have been pulled for good as we are now a year on without any news on this? Does anybody know anyway in which this can be done unofficially as there are number of google groups that imply this is doable but none detail the process they have taken to get a planned workout on to their bolt or elemnt! I don’t want to sign up to another subscription service as the gain is not worth the cost for either today’s plan or training peaks for a year. Alternatively I could just buy a 2nd hand Garmin that won’t cost me a crazy amount more than a 1 year subscription and do what I want it to do. I can’t be the only one who is a little gutted by this omission by Wahoo! You can side load workouts by placing the FIT, MRC or ERG files in the ‘plans’ folder on the ELEMNT/Bolt. Then go hit the sync button in the plans list and these will get imported. We don’t have any way to load via the Companion Apps. Specifically there is a video at the bottom of the above blog post that shows both adding and removing workouts. Thanks for your really quick reply! In looking at this subject where people had suggested this was possible it appears you couldn’t get any of the workouts off the bolt once loaded. Can they be subsequently removed? Silly question are there any limitations on the files types? Is there a limit to the amount of plans you load other than the storage capacity of the bolt? Removing side loaded workouts from my bolt eluded me for months, but folks on the Wahoo google group finally figured it out! Let’s say you have a workout file “hills.mrc”. To side load it, drop it into the “plans” folder on your ELEMNT and sync. To remove it, delete the file from your plans folder. Then put a new empty file (zero bytes) named “hills.mrc.plan” into the plans folder and sync. I have been experiencing resistance spikes with my neo paired to the wahoo elemnt bolt. It will stop my pedal stroke at random. It will also randomly auto pause my workout. Not sure if those are related.